Over one million people are expected at the Brandenburg Gate New Year's Eve party in Berlin, Germany, to dance Gangnam Style in an attempt to list a new flash mob world record. 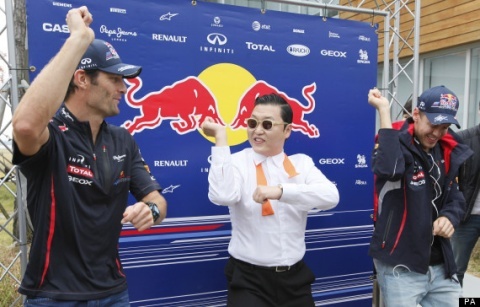 The dance became extremely popular in Germany after the three times Formula 1 world champion, Sebastian Vettel performed it together with South Korean rapper Psy. The idea was met with huge enthusiasm on social networks. The Gangnam flash mob will be aired live on TV at 11.30pm. The previous flash mob record stands at 80 000 people. At the Brandenburg Gate, the New Year kicks off with 6 000 rockets and eleven minutes of fireworks shot into the sky at midnight. Two million visitors expected in Berlin for New Year's. The show will feature international music stars, famous rock and pop bands as well as Loreen, the winner of the 2012 Eurovision Song Contest and singer of "Euphoria."